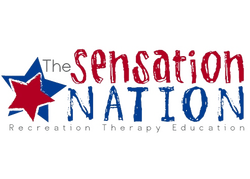 To register for The Sensation Nation sessions, please call us at (866) 292-5290 or (408) 292-5290. All clients please read our welcome to The Sensation Nation by clicking here. For our recreation registration form, please click here. To register for the next eight-week baseball clinic, please click here. To register for the next eight-week basketball clinic, please click here. To register for the next eight-week soccer clinic, please click here. To register for the The Sensation Nation Summer Sports Camps, please click here.